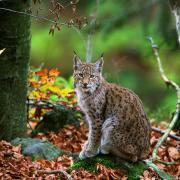 PETITION: Macedonia – No Dams in Mavrovo National Park! One of the oldest national parks in Europe is under attack. With the financial support of the World Bank and the European Bank for Reconstruction and Development (EBRD), the government of Macedonia intends to have two large hydropower plants built in the middle of a national park. PLEASE SIGN THE PETITION AND SHARE HERE! For years, the projected construction of several hydropower plants in the Mavrovo National Park in Macedonia has been a controversially discussed issue on an international level. Up to now, discussions have mostly been held behind closed doors. We would like to change that. On April 10, we will host the first public conference on the future of Mavrovo National Park at which both opponents and proponents will be speaking. We are glad to invite you to this event.